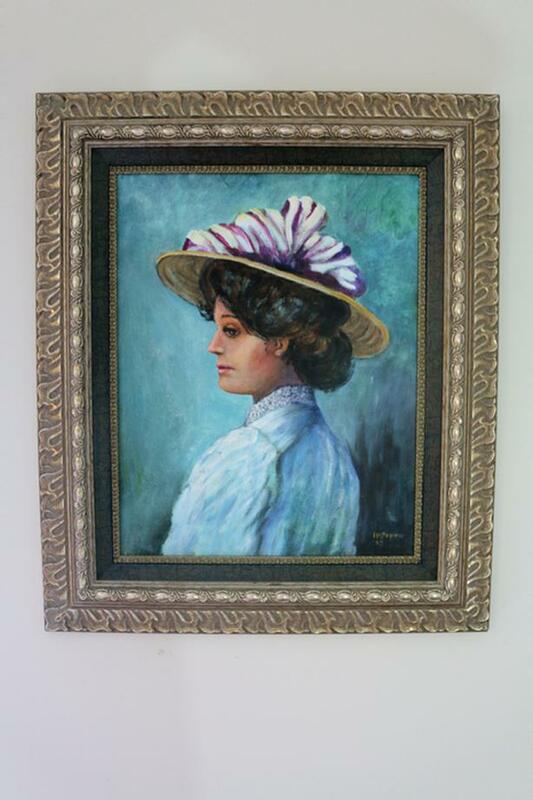 Original oil painting of a lady in a hat looking over her left shoulder in a beautiful frame. Signed by the artist. Inside frame 10 ½" x 13 ½"
Outside frame 16 ½" x 19 ½"